We're nearly there. The election is in its last hours, and we've got to find a way to stay strong. It ain't over till it's over, but in the morass of media onslaughts, constant polls, threats, scandals, misery, social media insanity, and other various demonstrations of the most contentious and brutal election in American history, we all feel a little delicate. If even Kate McKinnon and Alec Baldwin can't keep up the facade of nastiness for satire on Saturday Night Live, those of us dealing with election anxiety are understandably allowed to be fatigued. A survey conducted by the American Psychological Association in October showed that 52 percent of Americans say that the election is "a very or somewhat significant" source of stress in their lives, and 56 of millennials say the same. So how can we take care of ourselves with so little time to go? Beyond voting, though, you've got a right to some election day self-care. Here's how to keep yourself sane and safe until the results are announced, and in the aftermath. Seriously. It will not help you now. If you're trying to convince the last few dregs of people on your list to vote for somebody else, or to quit being undecided, you may want to use your energy on better things. (If you're actively working for a campaign or getting out the vote with phone calls, this point doesn't apply to you.) Social media has been recognized by scientists for its tendency to increase stress, and Election Day is no exception. Recognize your own weariness, connect to your fear and rage and anger, and try to take care of yourself. You may well be completely right, but if you really want to convince anybody without dragging yourself through the exhausting muck of another argument with Aunt Susan about The Wall, leave one last "THIS IS WHAT I THINK" post, and log off conclusively until the results are in. Will watching the rolling polls coming in as results start to pop up across the nation's electoral colleges make you feel better? Probably not. You'll likely watch them anyway with the grim fascination of an engaged citizen who wants to know whether to start looking at emigration to Canada early. But right now, before all the votes have been cast, the media isn't going to help you (well, perhaps with the exception of this article, that is). If anything has been demonstrated by this election, it's that the polls can be the most terrifying thing short of a blood-stained child-ghost crawling in your window at midnight on Halloween. The candidates aren't saying anything new; this is the point where they consolidate their messages and reinforce their voting bases. And while it may seem like there's a lot of news to contend with right now, chances are the media won't say anything that's actually new until the results are all in. If the FBI decides to throw in another bombshell now, you'll likely hear someone mention it IRL before you check your feed. Vote-counting hasn't commenced yet; you can't do anything to control the outcome; so get outside and go get an ice cream. If you're really anxious about being out of the loop, sign up for push notification alerts on a news app, and don't check the rest. The world will not, as far as we know, end on November 9. Nobody has yet threatened to start nuclear war if a particular candidate wins (though I fancy that the stock markets will not be greatly pleased if Trump romps to victory). Either way, there will be consequences, and the nation will have to cope with them; and you, shining glimmering star of citizenship that you are, will have a life to get on with. The psychology of short-term goals has been discovered to be very important for happiness in general, and that's particularly crucial when the near future is so stressful. Make plans for Thursday, for Friday, for a week from now. Fix a point on the horizon that goes beyond the One Day To End Them All, and work towards that. Now, if there were ever a time for it, is the time for fiction. The idea that literary fiction improves empathy may have recently been debunked, but one of the most effective ways to comprehend and understand this bizarre political situation is to look for it in the pages of the make-believe and see how things work out. Dystopias like The Handmaid's Tale or Brave New World will at least give you something interesting to use in comparison at cocktail parties in the future. Get into fantasy, where tyrants are clearly tyrannical and good guys clearly good; seek an antidote to the current political swamp with the clear lines of heroines and climactic battles. Hell, just do a bit of daydreaming; Psychology Today enumerates its psychological benefits at length, including the fact that it helps us defend our sense of self. History is also an excellent place to go when you're in need of a bit of perspective. If you want some more empowering fare, you could check out The History Of Woman Suffrage by Elizabeth Cady Stanton and other American suffragettes, Ida B Wells' The Light Of Truth, or even She-Wolves: The Women Who Ruled England Before Elizabeth for a perspective on centuries of serious women in power. 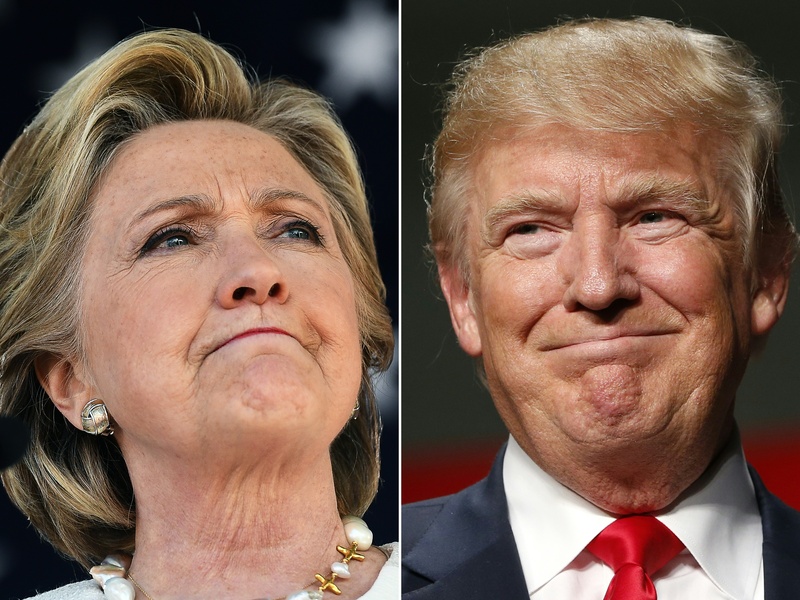 If your preferred candidate wins, what will you do? If they lose, what are your options? Set out your plan now so that it doesn't send you into a spiral of panic on the day itself. Then, file that plan away for later use and go do something else. If it will help you feel more in control, look up how to talk to your local politicians in Congress once they've been elected; collect some like-minded friends for a come-down brunch or dinner; buy some commiserating or celebratory treats. Then get out of the house, go to the movies, get some sunshine and exercise, eat properly, and generally focus on the business of being a functional human being. The election will not go completely haywire if you're not there to watch it maniacally unfold in its last day, inch by desperate inch, towards the finish line. Research has indicated that self-compassionate people, who are very good at self-care, may be more likely to use distraction to cope with problems that cannot possibly be changed by their own intervention (i.e. a national election). The exception to this is if you witness any attempt at voter intimidation or suppression at your local voting center. Call Election Protection and/or your local FBI field office to report any witnessed anomalies. And let's all hope that 2016 calms down after November 8.